A monument commemorates the visit of the Lady Nelson and the survey of the inlet by Ensign Francis Barrallier. The Lady Nelson was the first known vessel to journey across the southern coastline and to travel through Bass Strait from west to east. It was the first decked vessel to enter Western Port and made three visits to the Bay. Under the command of John Murray it sailed into Western Port in 1801. During this visit Victoria’s first garden was planted on Churchill Island, Western Port.Officers from the Lady Nelson prepared the first chart of Western Port in 1801. Leaving Western Port, the Lady Nelson became the first known ship to enter Port Phillip Bay in 1802. To commemorate the visit to Western Port in April 1801 of H.M. Armed Survey Vessel Lady Nelson under the command of Lieutenant James Grant, R.N. when Ensign Francis Barrallier, N.S.W. Corps, surveyed Hastings Inlet. 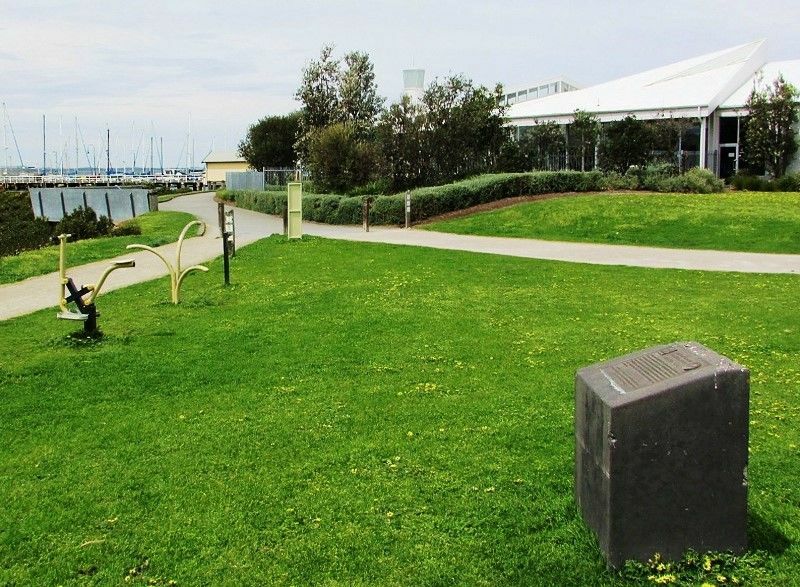 This was nine months before officers from the Lady Nelson discovered the existence of Port Phillip Bay, and thirty four years before Melbourne was founded. 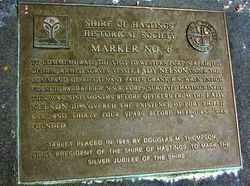 Tablet placed in 1985 by Douglas W. Thompson, first President of the Shire of Hastings to mark the Silver Jubilee of the Shire.